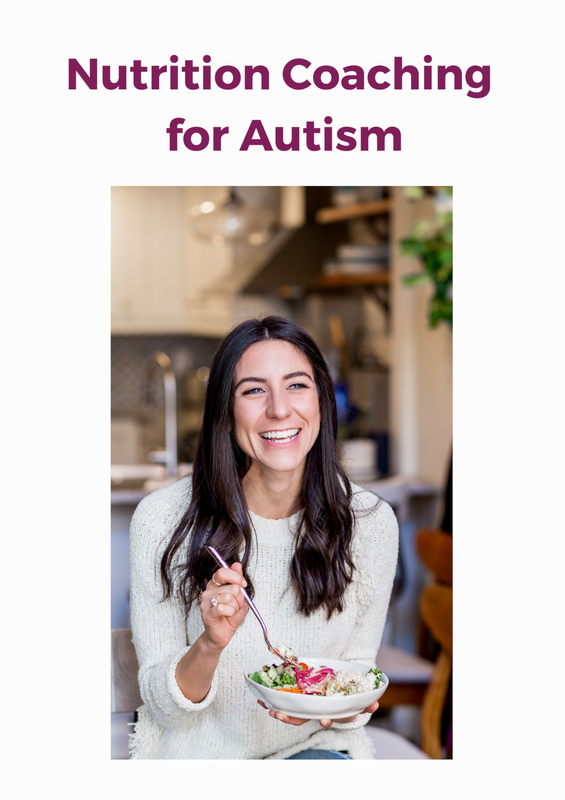 What are the best foods for autism? I hear this question from autism parents a lot (and wrote a post about autism diet staples here). Bone broth is made by gently simmering bones for a long period of time. After cooking for so long, bones release gelatin and minerals into the broth. Bone Broth contains amino acids (protein), most notably proline and glycine, and minerals such as phosphorus, magnesium, calcium, silicon and sulfur. A true bone broth is liquid when warm and turns to gel when cooled. Is bone broth a homeopathic treatment for autism? That’s probably taking it a little far. Can bone broth benefit autism? That depends who you ask. The theory is that the digestive systems of children with autism have unusually high levels of harmful gut bacteria, which damage the gut wall (causing leaky gut syndrome). As a result, toxins and bacteria enter the brain where they interfere with a child’s ability to process everything they experience leading to many common autism spectrum disorder (ASD) behaviors such as impaired development, sensory response, and language comprehension. This theory is connected to growing research that supports the gut-brain connection (which says that gut health can impact brain function). In the autism population, bone broth is thought to improve gut health and digestion (leaky gut syndrome) by strengthening the intestinal wall and reducing inflammation, which can lead to improved immunity. Bone broth is a big part of the Gut and Psychology Syndrome (GAPS) diet for autism and many swear by its power for improving health, symptoms, and digestion. Is there science to support the benefits of bone broth for autism? I searched and found no evidence of a benefit to consuming amino acids and minerals from bone broth as opposed to other foods. As for collagen, experts aren’t convinced. Collagen isn’t absorbed whole, so the idea that consuming bone broth translates to more collagen in the body is “wishful thinking”. Furthermore, there isn’t much out there supporting a direct relationship between drinking bone broth and having better gut health or increased immunity. To add to this, there is no standard bone broth recipe. And the commercial ones vary greatly (more on that below). Here’s what we do know. A 2000 study did find that eating chicken soup was associated with “a mild reduction in inflammation” that helped reduce symptoms of an upper respiratory tract infection. Are there any risks for bone broth and autism? Probably not. It is possible that bone broth made from bones of animals exposed to toxic environments can contain high levels of heavy metals. A healthy body can probably manage these, but there is some risk that some kids with autism aren’t able to efficiently detoxify harmful substances from their bodies and that these materials can actually build up and worsen symptoms. Bone broth made from healthy, grass-fed, organic, animals free of exposure to hormones and antibiotics is likely safe. So bone broth or no bone broth? I’m all for the science, and even though there’s not much here, I’m still a bone broth proponent. First, it’s tasty. Secondly, it probably won’t hurt, and if it does help, well good! Kids on the spectrum tend to eat too many processed, refined, overly sugary, junky foods. We know these foods don’t help anything at all. If you can replace some of these foods with more nutritious ones like bone broth, we are definitely heading in the right direction. It may not be more beneficial to get the nutrients found in bone broth from broth instead of other foods, but it is certainly still beneficial, and broth does have a variety of nutrients that say, chicken nuggets, don’t. How exactly am I adding bone broth into my child’s diet? Kettle & Fire - a really accessible way to get your bone broth on. Served in (almost) single-serve containers and great flavors (anywhere from basic chicken and beef bone broths to creative soups like miso chicken and healthy tomato soup) these are super user friendly and tasty. Kettle & Fire soups do contain some standard stock and other ingredients, so they’re not 100% bone broth, but they are still made with quality ingredients and they’re so easy to use and store. Bonafide Provisions - these guys pride themselves on having nutrient-rich bone broth that gels. It’s sold frozen to preserve nutrients at their peak and contains only bone broth made from grass-fed, pasture-raised bones (no added stock or meat). They also offer tasty ready-to-go soups like chicken veggie and broccoli cheddar. Bonafide Provisions is the real deal.